Which peppercorn color is best? If you were asked to name the most expensive spices, which would come to mind? Likely saffron and vanilla. Perhaps cinnamon and cardamom. You would never say black pepper. At least not today, but 500 years ago you would have. 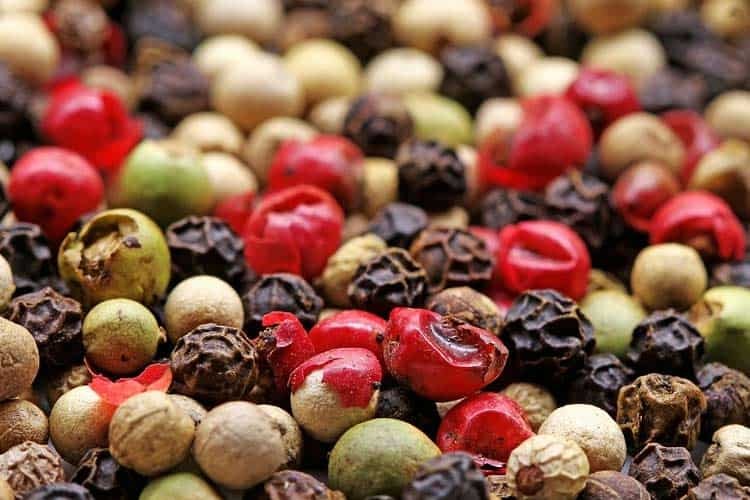 The burgeoning costs of peppercorns and cloves are what convinced the kings and queens of Europe to bankroll spice hunting expeditions, such as those of Christopher Columbus, who discovered the New World by accident in the process. Back then, the common man in England could only afford a knock-off known as alligator pepper. The present generation no longer views the black powder as being valuable. Though it definitely is. Not for use in bribes or for paying rent, both of which were prior uses for it during the Middle Ages. Rather, it’s valuable for bolstering your health. Not only black, but the green pepper too. Both green and black pepper come from the same plant; Piper nigrum. This tropical flowering vine produces small berries which are called peppercorns. 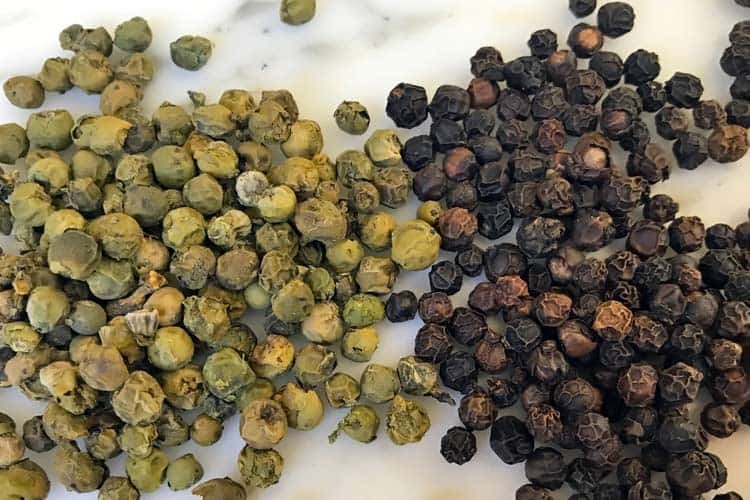 The difference between green peppercorns and black peppercorns is when they are harvested and how they are processed. The youngest peppercorns are green. They maintain that color when they are harvested premature and undergo freeze-drying or brining. The oldest peppercorns are black and because they have fully matured, their flavoring is the most intense. White pepper comes from the same plant as green and black, the difference is that the outer shell has been removed. The mature black berries are soaked in water and left to ferment around 10 days, after which their skins easily slide off. White is the most processed form of pepper. 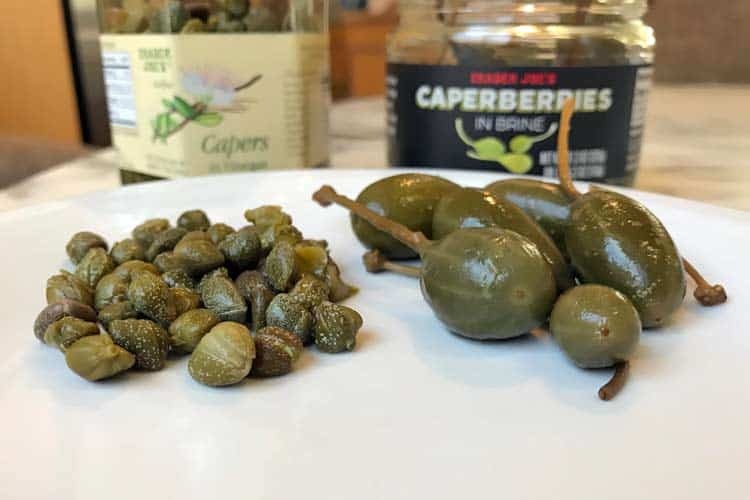 Are green peppercorns and capers the same thing? No. When green peppercorns are in brine, they look similar to capers but they are unrelated. Capers are young flower buds from the Mediterranean plant Capparis spinosa. 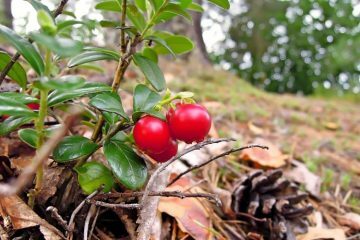 Caperberries are the mature fruits which the fertilized flowers eventually grow into. The plant is unrelated to Piper nigrum, which peppercorns come from. Brined green peppercorns are more processed than the simple dried form. They are sold in cans with water, salt, and citric acid as preservatives. Because they remain soft, they can be used whole in recipes and are popular for sauces. Whole green peppercorns and the ground green pepper made from them have a milder flavor than black pepper. Fresher and fruitier, with less initial kick. Unlike black which has heat the instant it hits your tongue, the green builds up slowly. It takes 5-10 seconds until you really start to feel it. Because of this characteristic, it adds complexity to meat, fish, sauces, and dishes where you don’t want to drown out the starring flavor from the get go. Green peppercorns start with a vegetable-like taste that builds into a strong yet tolerable heat. The freeze-dried form will have the best flavor. They also tend to be more expensive than the air-dried, which taste more muted. The reason green have less zing than black pepper is because they contain less piperine. Since salt is a mineral, the world’s most popular spice is black pepper. As such, it’s also among the most studied. Other colors like white, green, and pink (which is actually a different species) have a trivial amount of research in comparison. Black pepper has an ORAC value of 34,053 per 100 grams (3.5 oz). When comparing equal weights, that means it has 34% of the antioxidant activity of freeze-dried acai powder, which is 102,700. 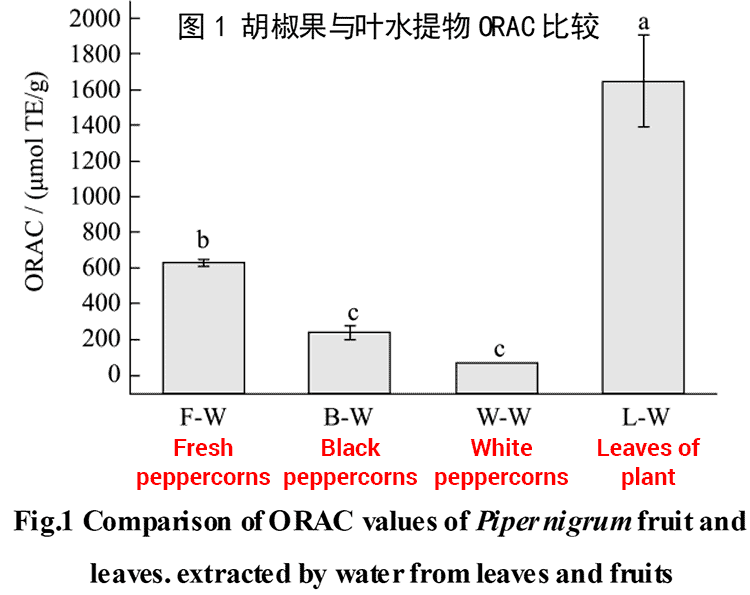 White pepper has more antioxidants than black, coming in with an ORAC of 40,700. As far as the premature fruits, no one has tested them. This isn’t that surprising, as ORAC testing is not cheap and there are countless foods – including many which are more popular – that have yet to be analyzed. However, it’s possible that green pepper may have more antioxidant content. If you look at trends seen in other plants, generally the earliest buds and youngest leaves demonstrate the greatest antioxidant activity. That’s why matcha is so much higher than regular green tea. Huazhong Agricultural University in China published a study which measured the fruits and leaves of fresh, black, and white pepper. Fresh doesn’t mean premature, though it’s closer to the freeze-dried green peppercorns you eat. 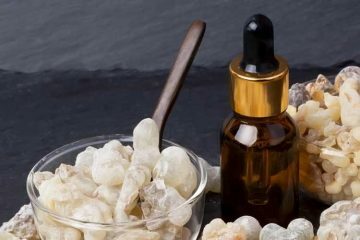 Even though piperine is highest in black, it doesn’t win for essential oil content. Over a 100 different oils have been identified in the fruit and medical research suggests some may offer advantages to human health. Even though it’s not the same as an actual allergy, it’s common for people to sneeze or get a runny nose when they eat this spice. It’s exasperated when it’s freshly ground in front of them, like at restaurants. 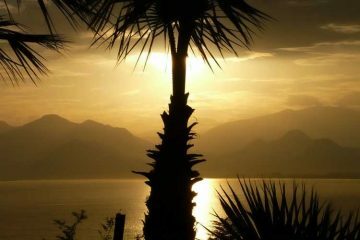 The fine dust in the air irritates mucous membranes. Because they are often consumed whole, there is no microscopic dust in the air from grinding. Piperine is the major irritant in pepper and being that green has less, it’s less likely to cause a reaction. With organic and pure sources, the spice is allergy-friendly. It’s gluten free, nut free, dairy free, and so forth. Nor is there any added sugar, salt, MSG, coloring, or preservatives. The brand in this picture is Spicely Organics available on Amazon. Sure, the regular kind has 30% as much antioxidant activity as acai powder, but you can eat an entire acai bowl made of that. 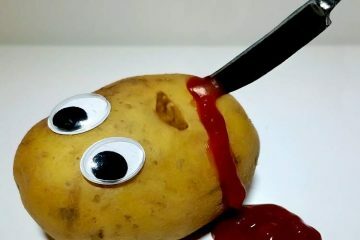 Try doing the same with black pepper and you will be in big trouble! Because the green are milder and less irritating, you can consume greater quantities at a time. With ground black, you may only have a quarter or half teaspoon in your entire entrée. The recipes for green peppercorn sauce, with and without brandy, contain exponentially more; typically 2 tablespoons per cup. High ORAC foods are great but the best are those which you can eat in quantity. Unlike cloves, this is a high antioxidant spice that you can eat more than a sprinkle of. 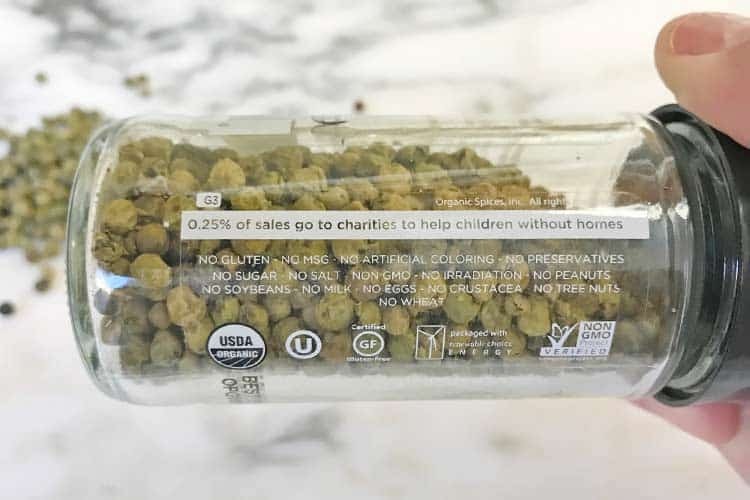 Green peppercorns in a water, vinegar, and salt brine test as having a whopping 1,217.2 mg of vitamin C. That’s 20 times the daily value for vitamin C, which is 60 mg. Even though their flavor is milder, of course you wouldn’t be eating 3.5 oz in a meal. Even if you ate just a teaspoon (4g) that still has 48.7 mg of vitamin C, which is 81% of your daily value. While all colors of pepper have high fiber content, you’re eating too little of the black to make a dent in your daily requirement. Not that you would eat a bowl full of these little balls, but the good news is they help fill you up, with few calories being added. If you added a tablespoon of olive oil for flavor, that’s 120 calories. Substitute the oil with these peppercorns and it’s only 15 calories. Recipes from Jamie Oliver, Gordon Ramsay, and other celeb chefs call for multiple tablespoons of green peppercorn when making sauces for salmon, chicken, filet mignon, etc. What you’re putting the sauce on may not be healthy for you, though at least the main flavoring in the sauce is guilt-free and good for weight loss. Black pepper is good for you and there are scenarios where it’s the better choice. The most compelling health benefit of pepper spice is that it boosts the bioavailability of many nutrients, supplements, and even prescription drugs. This effect is due to the piperine content. That will be lower in green and white pepper. Since black pepper has the highest piperine content, it’s the best choice for using with your dietary supplements. 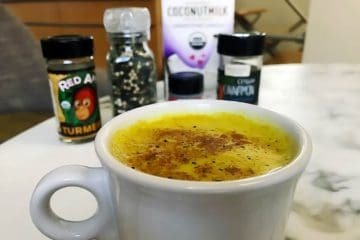 It has been found to boost the bioavailability when taken with turmeric/curcumin, CoQ10, amino acids, vitamin A, vitamin B6, and selenium just to name a few. Do not take it with prescription medications without first consulting your doctor. That advantage aside, the green offers you a different phytonutrient profile and more essential oil content. Keep in mind that when you cook with it, the aromas are also present. Considering the advantages of green and black peppercorn, perhaps the best choice is to use a medley mixture containing both for everyday eating. For cooking, the green serves as an excellent way to ramp up the antioxidants, since you can use more. Where can you buy green peppercorns in brine? 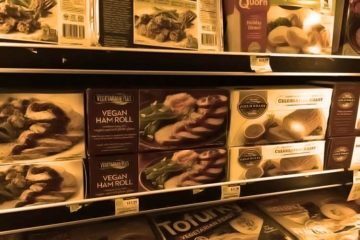 Trader Joe’s and Walmart don’t sell them but many grocery stores do including Kroger, Meijer, Publix, Safeway, and Whole foods. Not all locations stock them. The brands you are likely to encounter are Roland, Delicias, Reese, Figaro and Moulin. None of these are USDA certified organic. Who sells the freeze-dried form? Freeze-dried is the healthiest form to buy. Unlike the brined version, green dried peppercorns don’t have added salt. That’s a big difference because Roland’s in brine have a staggering 2,000 mg of sodium per 100g (3.5 oz) jar. Not as bad as the salt in olives, but that’s still a very unhealthy amount. Can you eat green peppercorns? Yes, even the dry ones are soft enough to eat whole, without overwhelming your taste buds. If you want them less crunchy, simply soak in water for a few hours prior, or cook them in a sauce. 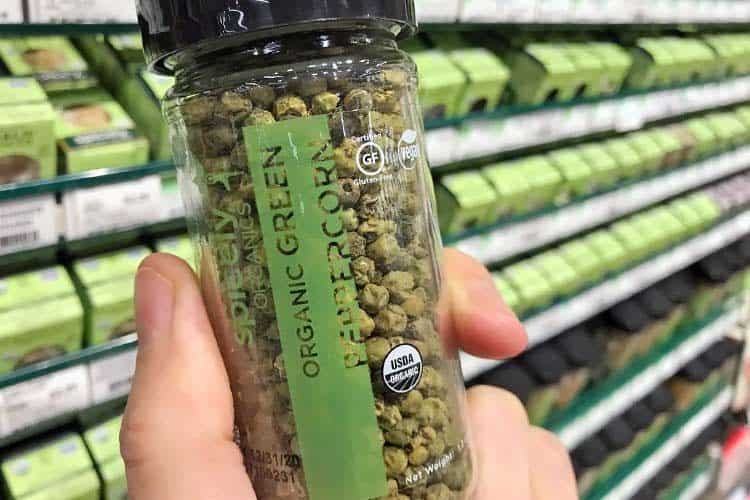 Because they are used less often in recipes, not many stores sell green peppercorns. 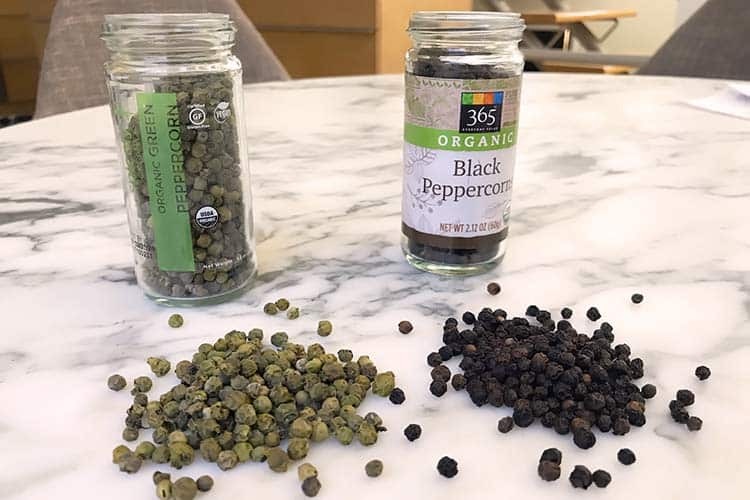 At a large Whole Foods location we checked in Los Angeles, only one brand of them was offered, compared to the several different varieties available for both black and white peppercorns. Trader Joe’s only sells them mixed, as part of their rainbow pepper bottle with built-in grinder. You can buy them from Spicely Organics on Amazon in various sizes, among other brands. Very comprehensive article, thank you.